Although, I don’t follow the “no white pants after labor day” rule to a tee, I do maximize wearing white and light colored pants during the summer months! 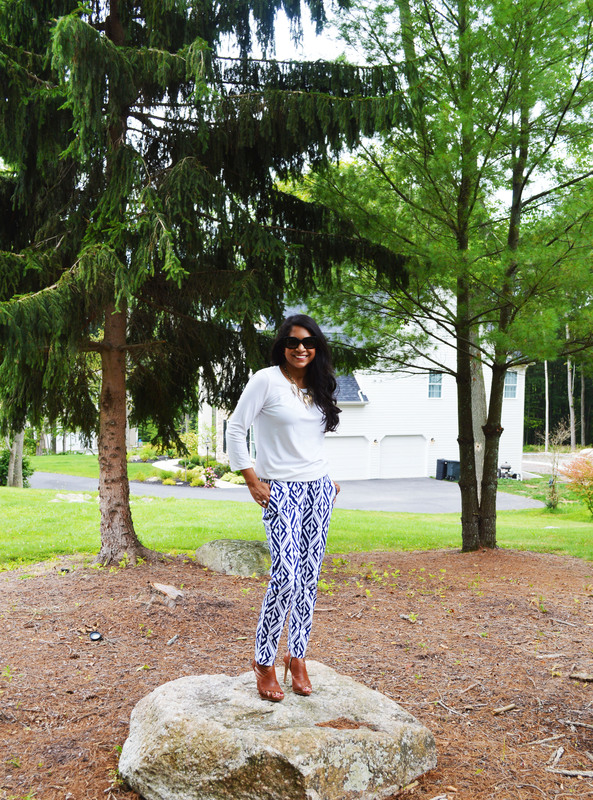 White pants/jeans bring a whole new look to my wardrobe every summer! For this look I paired by favorite white jeans with just a simple plain white tee and a bold statement piece. I love the way white on white looks – fresh, clean, and simple.